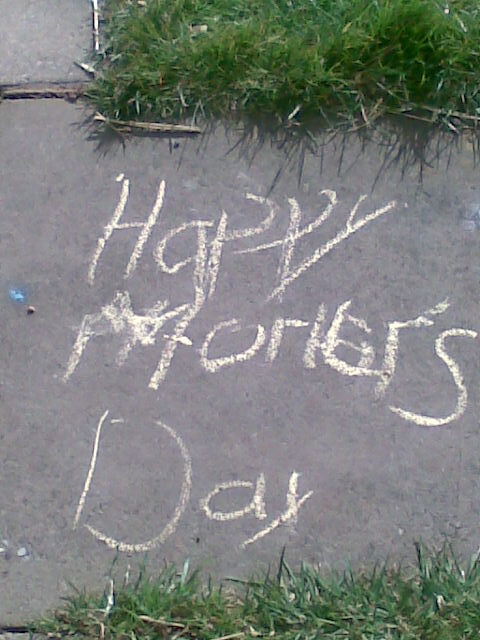 My favourite mothers days will always be the ones when the children were little. The school assemblies where most of the ensemble had their two front teeth missing. Ahh, then there were the crappy presents and cards. I have kept all the home made cards, with their badly drawn daffodils on the front and the writing in crayon. bless. 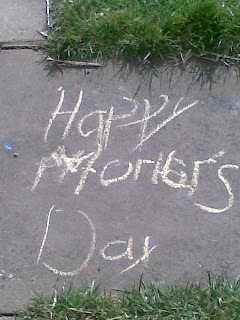 I loved those mothers day, they were so sweet and exciting and snugly special. Now jump forward to present day. Yesterday my teenage boy didn't get out of bed until nearly lunchtime then he barely managed a "mornin" grunt. My daughter said 'happy mothers day' but then went straight back to listening to her iPod. I waited until gone 12 'O' clock to get my presents and cards, not that I'm bothered, my children are always telling me how much they love me and me them. It was just weird that I didn't get coffee and choccy biscuits in bed (or all over the bed as I recall).